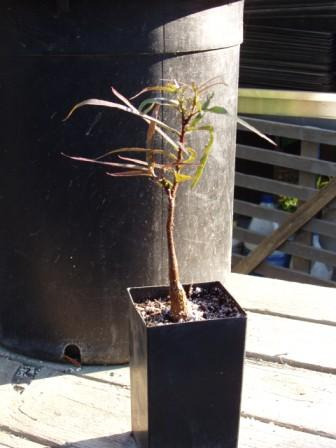 A hardy small tree from the desert areas in Australia. Dense dark green crown and would be an excellent small tree for hot dry sites. Rarely grown outside Australia so not a lot is known about growing it in southern California or other areas. Imagine it would grow well in Nevada, Arizona, Texas. Indoor or patio container plant.